It looks like a sequel to Bohemain Rhapsody 2 is closer to actually happening than originally thought. Queen guitarist Brian May had previously talked about the idea of it happening after declaring that Live Aid was the perfect place to end the story and then saying, "Who knows, there might be a sequel (laughs)." The interview with May was conducted well before the awards hoopla and the praise for Rami Malek. A lot has happened since then and one can easily see why a sequel is being seriously considered. In a new interview, long time Queen music video director Rudi Dolezal stated that Bohemian Rhapsody 2 is "being heavily discussed in the Queen family." As for how or when the sequel would take place, Dolezal says that the band's manager, Jim Beach, might have "plans for a sequel that starts with Live Aid." This has not been confirmed by the band or anyone else in their camp, but these talks are still more than likely happening. However, whether the movie happens or not is an entirely different story. If it does happen, it will be interesting to see who they choose to direct this time around. Bohemian Rhapsody was meant to be a tribute to the work that Queen and Freddie Mercury put into changing the landscape of rock and roll. The music biopic is now the highest grossing in the genre of all time, with Golden Globe and Academy Awards wins, so making a sequel seems like a no-brainer for all involved. But, an attempt to capture lightning in a bottle for a second time might not be seen in the best light by many Queen fans. There are already quite a few fans who are unhappy with the original movie to begin with. If a sequel to Bohemian Rhapsody were to be made and started with Live Aid, that would only give insight into the final 6 years of Freddie Mercury's life. While there is definitely a lot of story to tell within those 6 years, those were also incredibly private times for the front man and it might not be in good taste to explore that aspect. Plus, while the band has toured frequently in the last few decades, minus bass player John Deacon, they haven't really done anything Earth shattering in terms of songwriting since Mercury passed away. Queen currently performs with American Idol runner-up Adam Lambert. Lambert joined the band in 2011 after they toured with former Bad Company front man Paul Rodgers for a few years. While Bohemian Rhapsody 2 is probably being talked about, a sequel probably won't happen unless it is dedicated to the final years of the original band, which would be a pretty grim story. 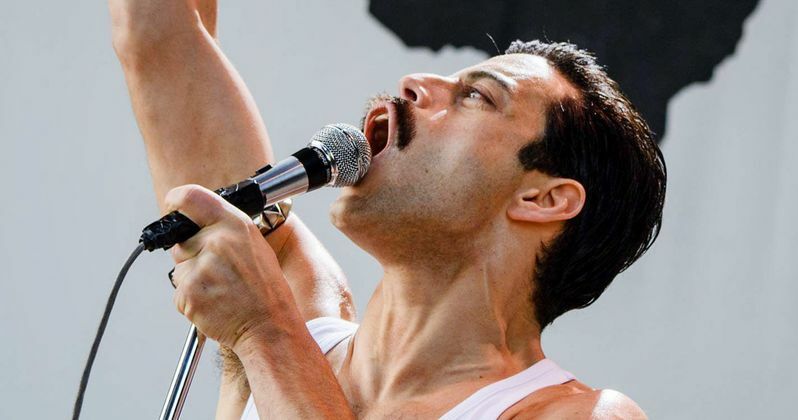 Rami Malek could come back, but he will definitely be commanding a much bigger paycheck after winning an Academy Award for portraying Freddie Mercury. The interview with Rudi Dolezal was originally conducted by Page Six.